The 20.20, a revolutionary GEO satellite design that provides greater communications capacity by integrating next-generation technologies with the proven reliability of traditional concepts and products. Total satellite power available ranges from 17 to 30 kW. On-board transmitter power up to 15,000 RF watts – can accommodate as many as 150 active transponders. Launch mass tops out at approximately 8,500 kg. The 20.20 will be launched in a 5-meter fairing. SS/L's 20.20 delivers higher power, additional and more focused coverage, more efficient use of bandwidth, longer useful life on orbit, and modular construction for easy customization and shorter delivery times. Thus, SS/L will more easily be able to fulfill the needs of its customers – well into this new century. This GEO platform features components made of new, lightweight materials, including better batteries, high-efficiency solar arrays with improved drives, and other electronic components. Along with the weight-saving features, the 20.20 uses Hall-effect plasma thrusters and advanced command and control systems. All of these improvements will allow the 20.20 platform to accommodate payloads that include next-generation antennas, feeds, multiplexers, on-board data processing with switching, and enhanced frequency-reuse multiplexing for better use of available bandwidth. 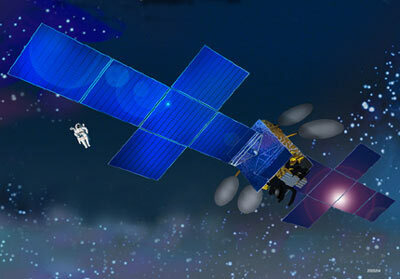 These advances are being integrated, when appropriate, into various 1300 series satellites.